Discussion in 'WWII Era Obituaries (non-military service)' started by ColHessler, Mar 15, 2019. NEWSER) – How to describe Edda Goering? She "was a sort of Shirley Temple of Nazi Germany," writes the Telegraph, while the New York Times calls her "practically a princess of the Third Reich." Both provide a sense of the media attention the daughter of Hitler henchman Hermann Goering received upon her birth in 1938 and through her early years. 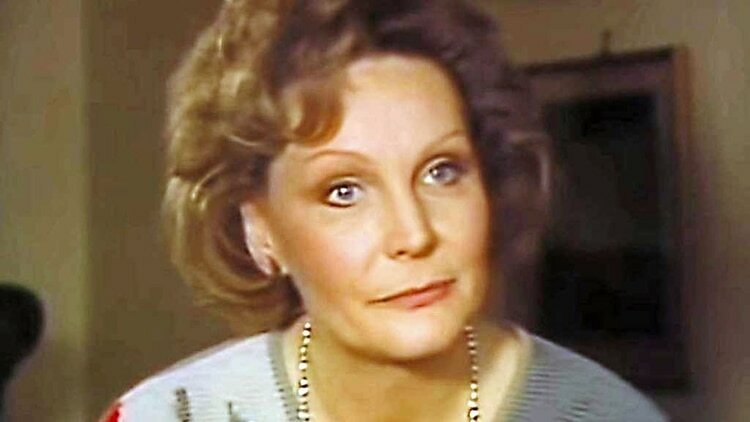 Edda Goering, who was Hitler's goddaughter and who defended her father all her life, died in December at age 80, though that hadn't been made public until now. She is buried in an unmarked grave in Munich, reports the Times of Israel. Hermann Goering ran Hitler's air force and amassed a huge collection of plundered artwork as the Nazis advanced throughout Europe. Edda Goering, however, always maintained that her father got a bad rap. "My father's problem was his loyalty to Hitler," she once said. "He had sworn personal fealty to him and would never abandon it, even when Hitler had gone too far. The things that happened to the Jews were horrible, but quite separate from my father." She said she had only "loving" memories of her father. As for that artwork, she tried for decades to get some of it back after it was seized from her family when Hitler fell. "It was all profit for the government," she said, "and of course I did not receive anything." Her father committed suicide in his prison cell shortly before he was to be executed for war crimes. She and Gudren Himmler, two of the most famous Nazi children. But we did not hear much about Edda. She did not make the news like Gudrun did who also passed away last year. Oh my, yes! Quite a resemblance. I'm sure that "Der Dicke" could easily have been a loving father all the while he was the biggest robber baron of the 20th century. Always been intrigued by the high rankers' offspring. There's a good (if slightly strange) little book called 'My Father's Keeper' by Stephan Lebert. Contains interviews with the 'Nazikinder' of Frank, Hess, Bormann, etc. along with thoughts about his own father. Himmler & Goering's daughters refused, but the thing provides a really interesting basis for further enquiries. Edda Goering apparently lived quite well postwar, moving among a certain European set. Curiously public & private at the same time, which made it quite hard to find stuff relating to her. Though that's perhaps hardly surprising given her political inclinations. Hard to imagine that a (the?) Nazi poster child was still among us a few months ago.